Liverpool manager Brendan Rodgers is paying the price for not strengthening his backroom staff, according to former Fulham boss Rene Meulensteen. Liverpool are nine points off league leaders Chelsea and have lost their last two Champions League group games. Meulensteen, first-team coach at Manchester United for five years, says Rodgers has made mistakes. "Brendan Rodgers's biggest failure is that he's not invested in his staff,"Meulensteen told BBC Radio 5 live. Meulensteen, 50, was a key member of Sir Alex Ferguson's backroom team at Old Trafford. He helped United win three Premier League titles, one Champions League, two League Cups and one Club World Cup while first-team coach between 2008-13. 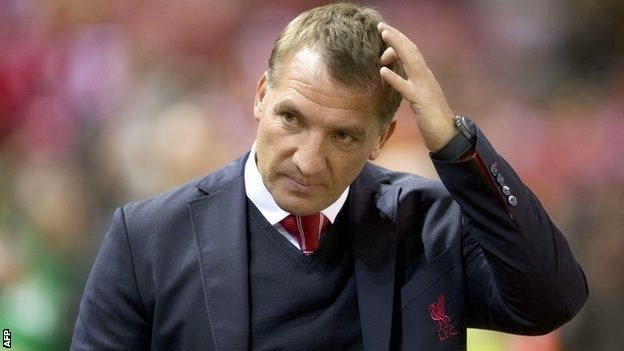 The Dutchman, who was in charge of Fulham for just two months before he was replaced in February, believes Rodgers should have strengthened his backroom team after the Reds secured a Champions League return after finishing second in the Premier League last season. Colin Pascoe is Rodgers's assistant while Mike Marsh is first-team coach. Meulensteen said Rodgers should have appointed someone with Champions League experience before the start of the season.